Irvine, CA, July 6th, 2015. Cybernet Manufacturing, a market leader in world-class, all-in-one computer systems, couples portability and reliability with durability and ruggedness through it’s newest line of mini PC’s. 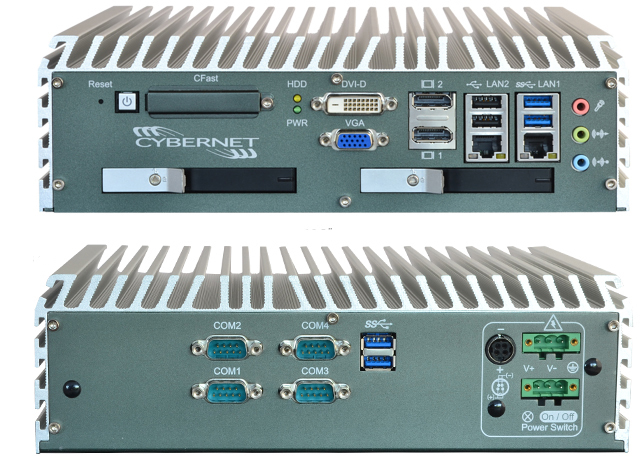 Cybernet’s industrial computer product line has been designed keeping in view the fact that computers performing industrial-grade processing are frequently exposed to unforgivingly high levels of temperature, pressure, shock, vibration, and humidity. The durability inherent to Cybernet’s industrial computers – the IPC-R1, IPC-R2 and IPC-R3 – are an outcome of two vital design interventions: the strength of the product’s housing and the robustness of the constituent electronic subsystems. To survive in demanding operational conditions, Cybernet’s industrial computers are equipped with external housing made of materials having high tensile-strength ratings. The units are also built to comply with Ingress Protection marking specifications for dust-proofing and protection against accidental spills. The electronics under the hood is fortified with military grade, high-performance components for greater reliability and overall superior product longevity. Custom built capacitors on board the Cybernet’s industrial computer offer high energy storage and voltage hold-up, vital for uninterrupted operation of the units. Cybernet’s industrial computers do not make use of conventional ribbon wiring. Instead, purpose-built ruggedized harnesses are employed for inter-modular connectivity. This permits Cybernet’s industrial computers to endure harsh operational environments effect on process control and data-reliability. Additionally, the Panel PC variants – IPC-R3 and iOne-N19 – are equipped with a vivid, touch screen. The display panel on-board Cybernet’s all-in-one industrial computers is ideal for readability and operation, even in poorly lit environments. The touchscreen is highly responsive sensitive enough to work seamlessly even with protective gear on.